Join in the fun with Thistle Fleet 69. This invitational regatta is open to all registered Thistle Class boats. The Thistle is one of the founding fleets at ISC. Make plans to attend the regatta, you won't regret it. We host a great event. 2018 8 Ball SCHEDULE OF EVENTS: All times posted are Eastern Daylight. NOTE: Starting times may be changed because of weather conditions. 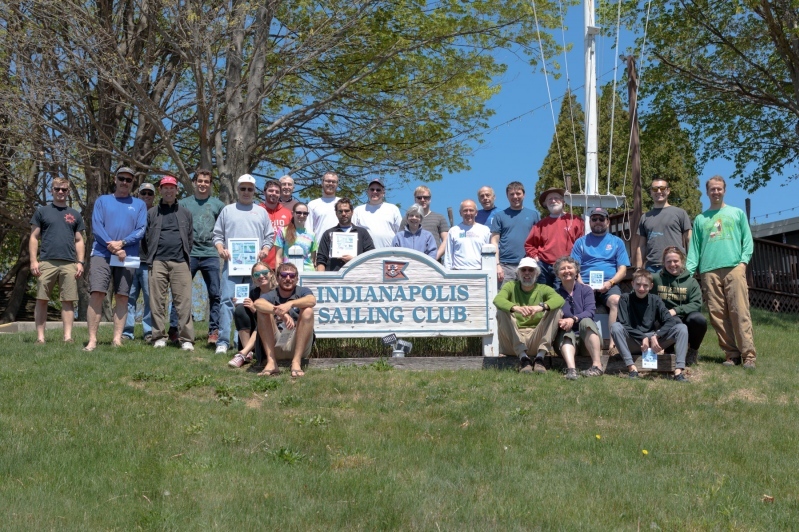 Participants will be notified with official notices being posted on the Thistle Class bulletin board located inside the Indianapolis Sailing Club clubhouse.